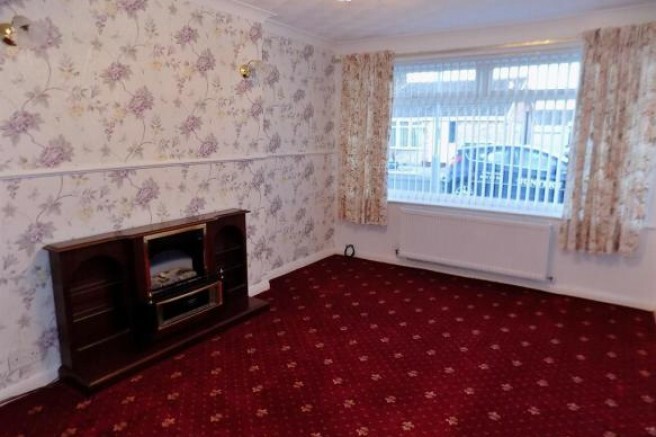 FOR SALE a CHAIN FREE Two Bedroom, Semi-Detached Bungalow in Stockton which is located in a desirable cul-de-sac and close to local amenities and good transport networks. 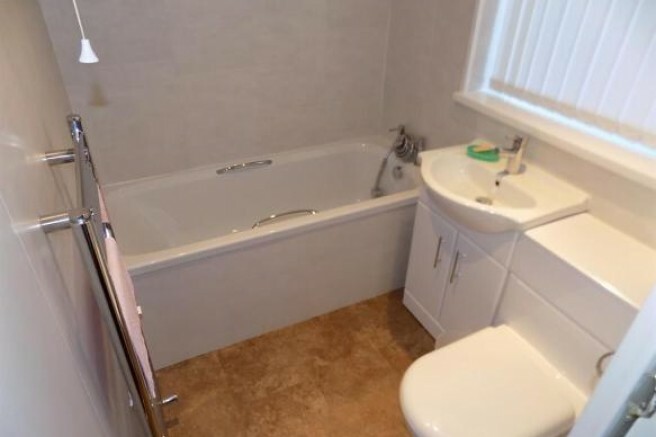 Briefly comprising: Entrance Hallway, Lounge, Re-Fitted Kitchen and Bathroom and Two Bedrooms. 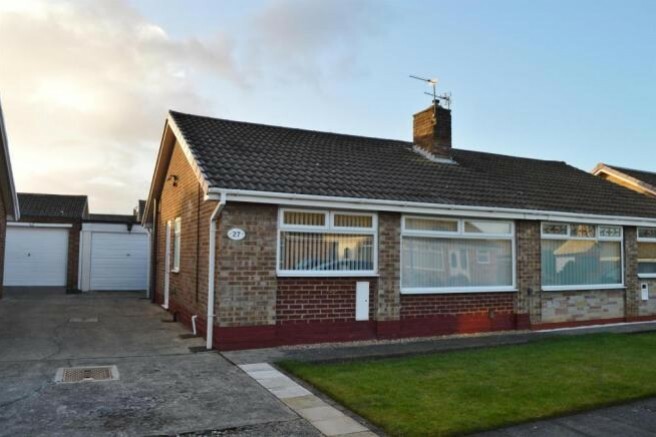 Benefited by gas central heating (combi boiler), double glazing, mature gardens to front and to rear and driveway and garage parking. 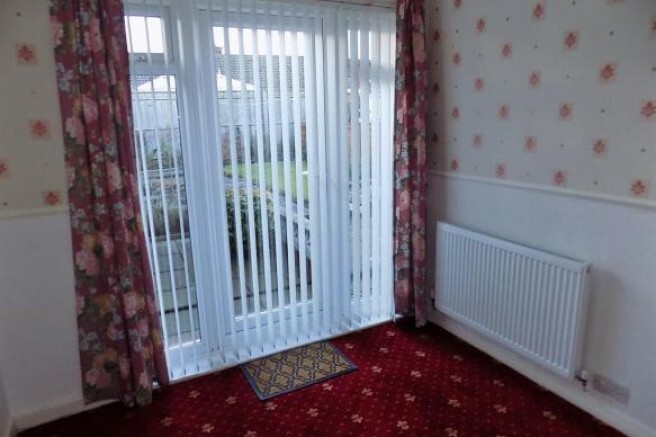 The accommodation offers a good degree of privacy and SENSIBLE OFFERS ARE INVITED AND WILL BE CONSIDERED ENTRANCE HALL The bungalow is accessed from the side of the property via a uPVC, double glazed door into the hallway. Doors off to Lounge, Kitchen, Two Bedrooms and Bathroom. Coving to ceiling, single panelled radiator and access to a partly-boarded loft, with light, via ladder down. LOUNGE 4.85m (15' 11") x 3.15m (10' 4") Double glazed window to front, double panelled radiator and coving to ceiling. KITCHEN 2.54m (8' 4") x 2.69m (8' 10") Re-fitted with a range of wall, draw and base units with a worktop surface incorporating a stainless steel sink and drainer unit with mixer tap. Built-in electric hob with extractor over and an electric, fan-assisted oven under. Plumbing for washing machine and integrated white goods including fridge and freezer. Double glazed window to front. BEDROOM ONE 3.15m (10' 4") x 3.70m (12' 2") Double glazed window to rear, single panelled radiator and coving to ceiling. Not directly over-looked. BEDROOM TWO 2.55m (8' 4") x 2.70m (8' 10") A generously-sized single bedroom with double glazed, 'French' doors to rear garden, single panelled radiator and coving to ceiling. BATHROOM 1.96m (6' 5") x 1.55m (5' 1") Re-fitted and offering a three-piece, white suite - panelled bath (shower to mixer tap), hand basin set into vanity unit and a low level WC (close-coupled). Double glazed window to side, chrome, heated towel radiator and inset ceiling spotlights. 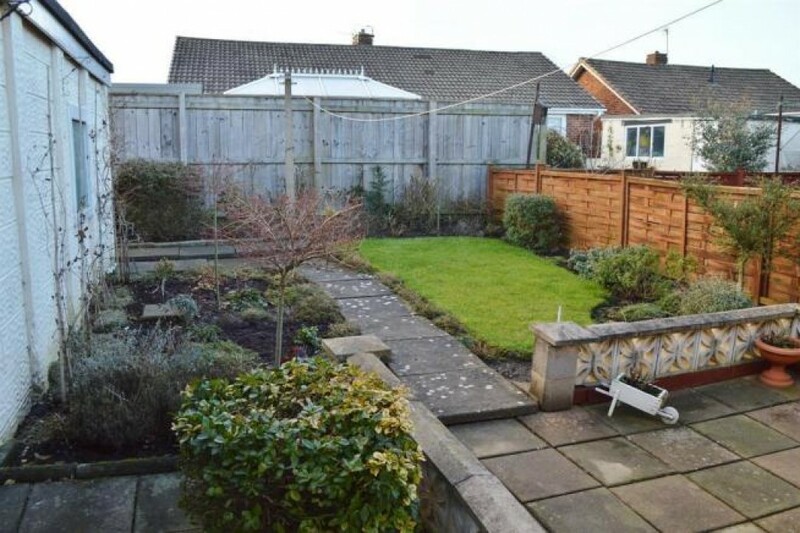 EXTERNALS The property offers low maintenance, mature gardens to front and to rear. The front is mainly laid to lawn with a shared driveway allowing for off-road parking for several vehicles - the driveway leads to a detached, single garage with up and over door and power and light. The rear offers good privacy, is mainly laid to lawn and is fully enclosed by fence with paved patio area and side access to front.